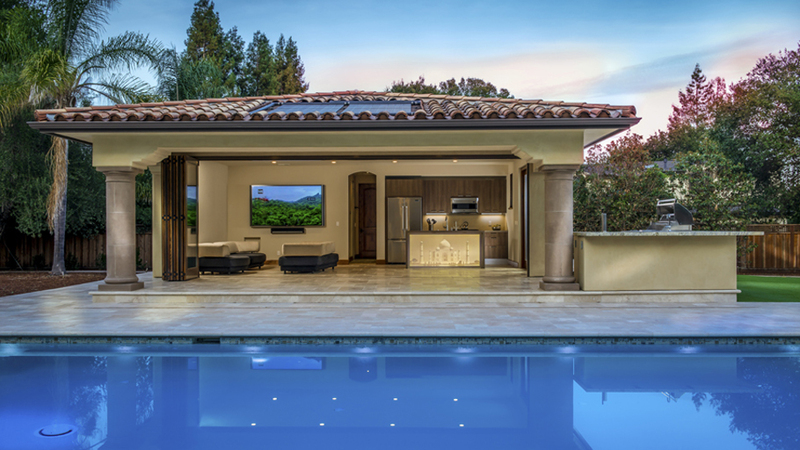 By combining indoors and outdoors in the same space, we find a sophisticated kitchen project in the city of Saratoga, California: Saratoga Pool House Kitchen. 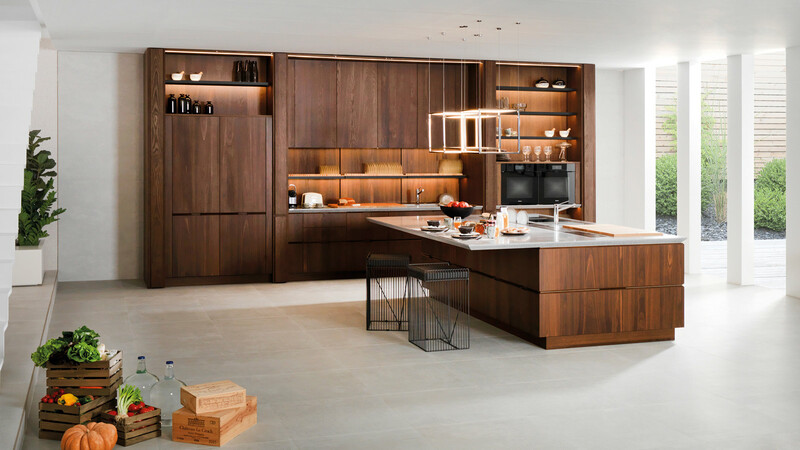 This is an avant-garde kitchen project with great versatility and dual use: to service both the pool and terrace areas as well as turning into an indoor space through a sliding glass. 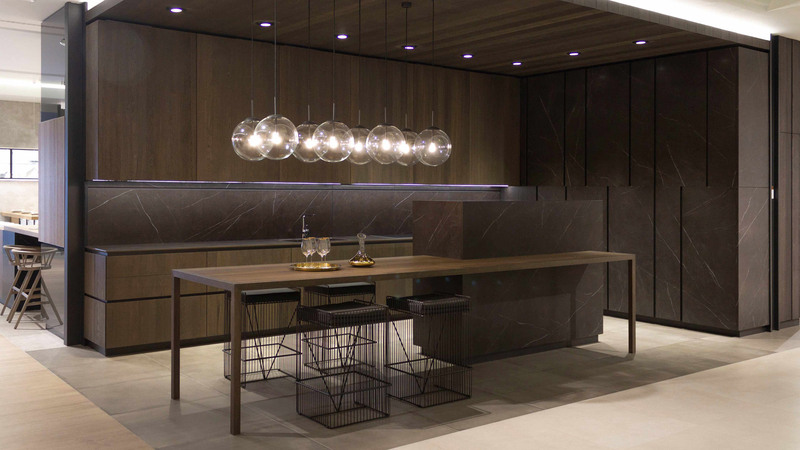 Its practicality and accessibility lie in the possibility of turning into an indoor and outdoor kitchen at the same time, but above all, this project stands out because of the quality and elegance of the materials fromthe PORCELANOSA Grupo that have been used in it. 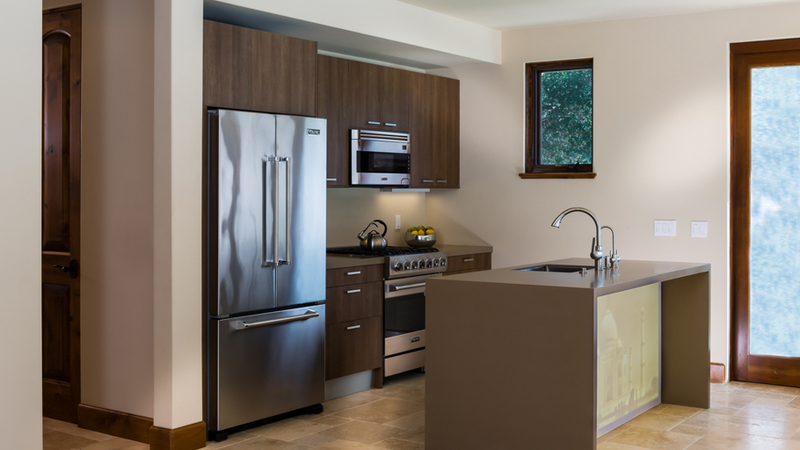 For the furniture of this unique and Californian mansion exclusive kitchen, the Spectrum Interior Design firm opted for the Residence model from Gamadecor in the Camel Laminate finish. The kitchen equipment is distributed in the Saratoga Pool House Kitchen in two areas: the island which includes the sink area and kitchen taps; and the rear one where there is the cooking and cooling area, including appliances in metallic finish that contrast with the sumptuous wood finish of the furniture. 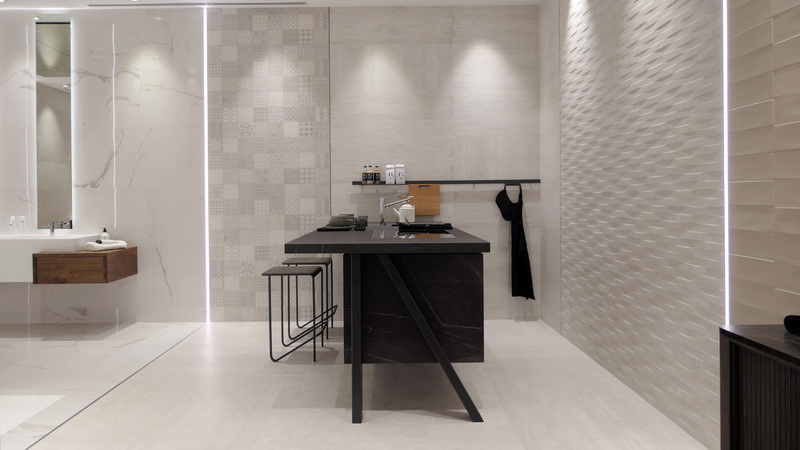 Due to its quality properties, durability and antibacterial, the material chosen for the kitchen worktop was the KRION® Solid Surface mineral compact, in its Concrete Mocha version. It is a surrounding model that occupies the entire perimeter of the island and the central kitchen area and workspace. 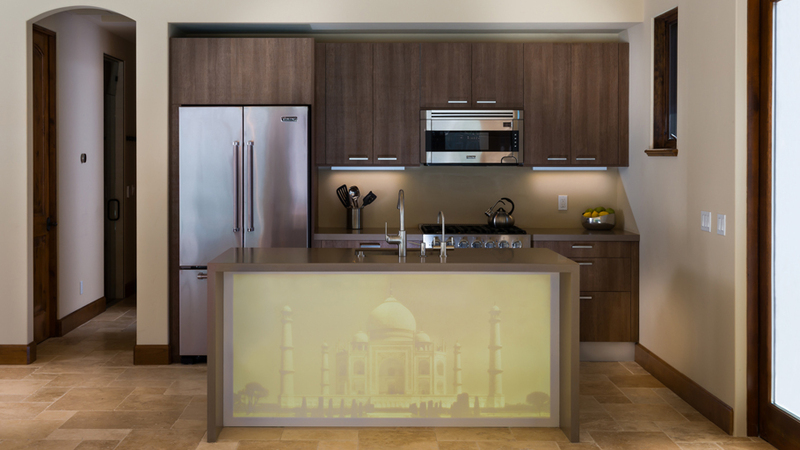 Additionally, KRION®Solid Surface occupies, thanks to the possibility of backlighting in front of the island, an area that has been used as a tribute to one of the wonders of the world: the Taj Majal. On this occasion, the acrylic stone model is the backlit KRION® Pearl. The Saratoga Pool House Kitchen is, thanks to the materials from PORCELANOSA Grupo a luxurious but at the same time an innovative project. Either from the pool as an outdoor space or indoor space in the coldest months, this kitchen project will definitely provide a unique dining experience.